Independent Dock & Door is committed to providing our customers with the best garage door sales and service in Northeastern Pennsylvania. In addition to the wide variety of residential garage doors we offer, we also sell a complete line of commercial and industrial products including loading dock equipment, specialty door needs, and material handling. Independent Dock & Door is dedicated to the principle of providing reasonably priced quality service to our customers. When you need someone to handle the maintenance of your garage door in Horsham, PA, why not give us a call at Horsham Garage & Opener Service. 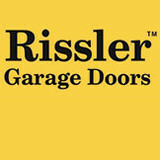 We are happy to help you with your garage door installation and repair needs. Do yourself a favor by contacting us when you are ready to have a new door installed or need some type of repairs. 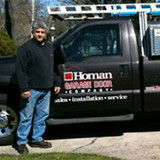 At Horsham Garage & Opener Service, we work with every type of garage door opener. 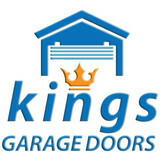 Let us take care of the maintenance of your garage door so that you do not risk harming yourself. Since your garage door opener has moving parts, it is a good idea to allow us to assume the risk of harm instead of you. Our qualified technicians know how to effectively install and repair garage door openers. They take every precaution needed in order to make sure no one is harmed. Give us the chance to earn your business by attending to your service needs at Horsham Garage & Opener. It doesn’t matter what the level of complexity is, we are sure we will be able to provide you with the services that you need. If you don’t want to waste your money on services that do not prove efficient, you can find them at Horsham Garage & Opener. We make sure you’re capable of getting all that you need and more. We are committed to your total satisfaction and we prove this every time you call on us for servicing. With Buckingham Garage Pros attending to your garage door service needs, you can rest assured that the job will be done right. If you need or want a new garage door installed or are experiencing problems with your garage door, you can count on us to help you with your service needs. At Buckingham Garage Pros in Buckingham, PA, we want your business and will do what we can to earn it. We do this by consistently offering you the best quality of services possible. This is accomplished by only relying on the most skilled and qualified locksmiths to take care of your garage door service needs. Our Buckingham locksmiths are professionally trained and they have years of industry experience. With their level of experience and training, you can be sure that we will be able to offer you the quality of services that you want and deserve. If need help with your garage door opener, need new springs installed or your door balanced, we’ll be able to handle this for you at Buckingham Garage Pros. Making sure that you’re able to have the garage door that you would like is important to us. This is why we offer you a complimentary, no-obligation consultation. We want to make sure you’re able to receive the help that you need at prices you can afford. We make sure that everyone receives help at prices they can afford. This is why we make sure that you always receive the best quality of services. Garage doors and gates are valuable assets to a Reading, PA home’s curb appeal, security system and storage needs, so when they need to be repaired, it’s always smart to hire a local garage door repair professional. A Reading, PA garage door maintenance pro can fix a wide range of components, including exterior damage, parts, openers and weather sealing. What types of garage door service tasks do contractors in Reading, PA provide? A damaged garage door can lead to increased security risk, ruined belongings and an unpleasant exterior, so look for Reading, PA repair professionals who provide same-day or emergency services if the damage is extensive and poses a potential health and safety risk. 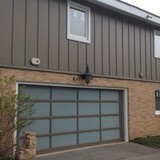 Find Reading, PA garage door repair professionals on Houzz. Narrow your search for garage door repair professionals by selecting the nearest city or zip code. Look at portfolio and product photos, and read reviews to find the best garage door contractors in Reading, PA for your home.